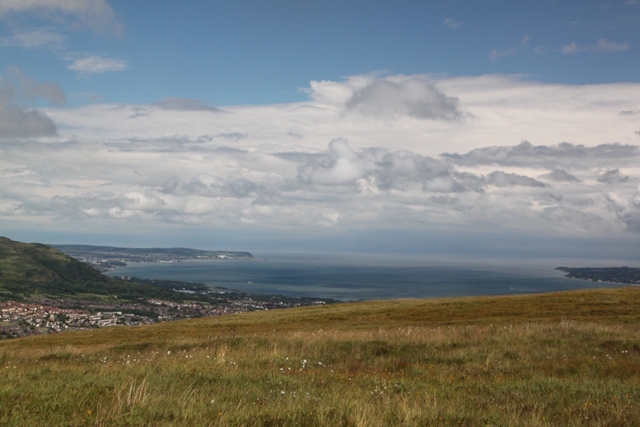 Back to Belfast for our last day in Ireland, we decided to do something different and check out the city from an alternative perspective high up on the Divis Ridge Trail in the Black Mountain. This mountain forms a stunning backdrop to the city, it always seems to be looming large in the background and is perfect if you fancy a walk with a view. At one time this whole area was out of bounds, now in the hands of the National Trust there are stacks of well laid out trails and all come with the added bonus of amazing viewpoints. 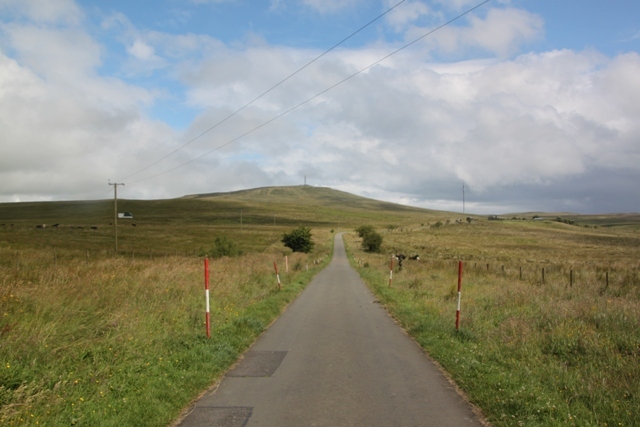 We picked the Divis Ridge Trail – a great choice. Easy enough to find from the National Trust instructions, we drove part-way up the mountain, found the little car park and set off. A warm day down below, up in the hills an extra layer was most definitely appreciated. 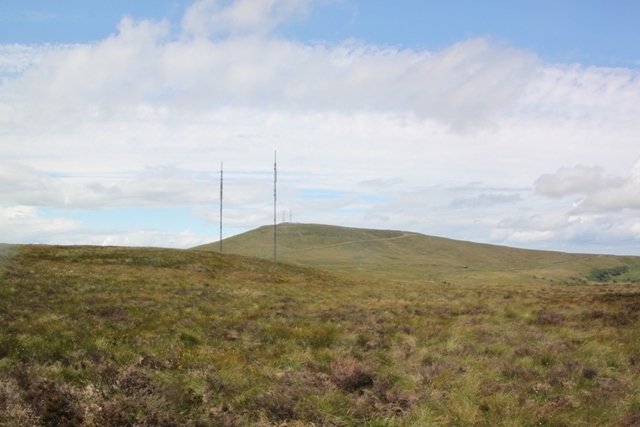 Directions weren’t necessary, we just followed the path keeping the Divis transmitter masts in front of us. The paths are relatively flat and either gravel or at times a wooden boardwalk so easy going for the 5 or so miles. 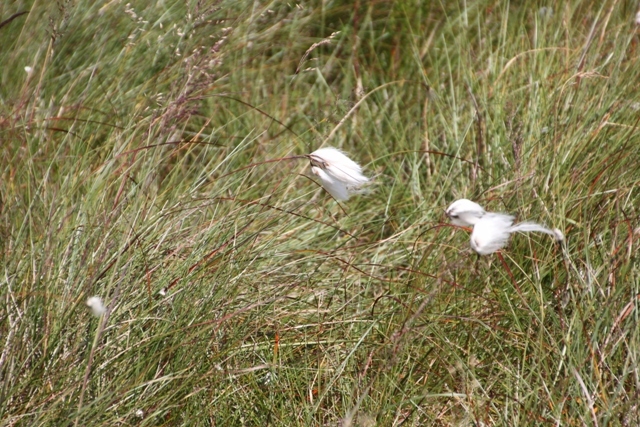 The mountains are home to a host of wildlife, Son was endlessly fascinated with the fluffy bog cotton which seemed to be everywhere. At the summit we were blow away by the views. 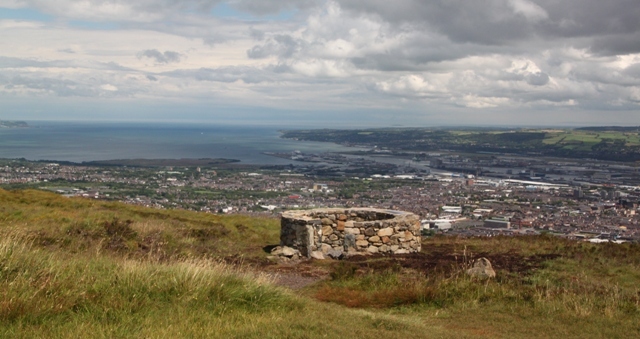 The Antrim Plateau to the south, Scotland to the east and the Mourne Mountains to the south with the icing on the cake being the city of Belfast spread out before you below. 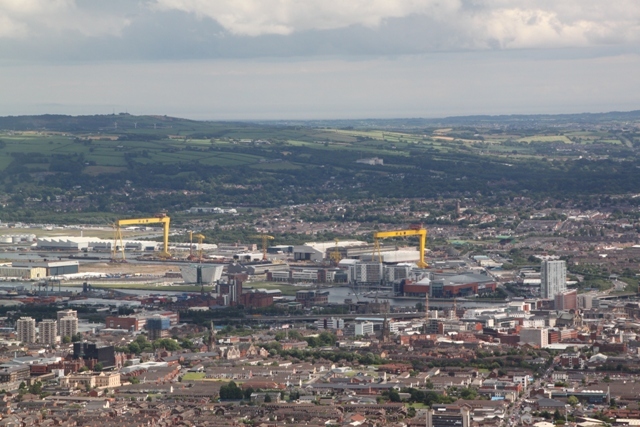 Tiny except for Samson and Goliath – the hulking and huge yellow cranes of the Harland and Wolff shipyard. The sea glistened, the winds howled and we hung around for ages taking it all in. Back at the car we kicked off our walking boots and headed for the university area for dinner. 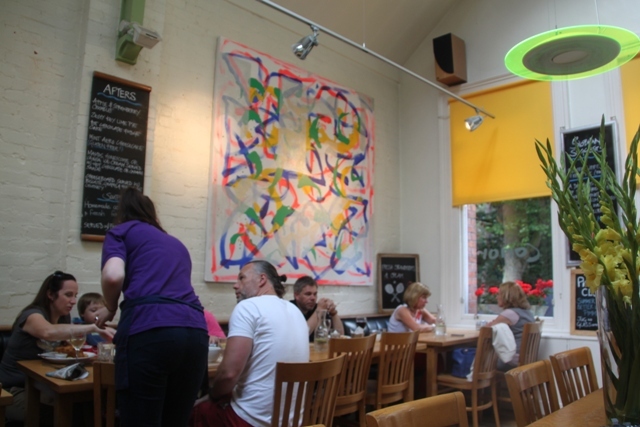 We discovered a little place called Cafe Conor and booked a table – just as well, it was already busy at 5.30, seemingly full of locals keen to make use of the very good and very reasonable early bird menu. 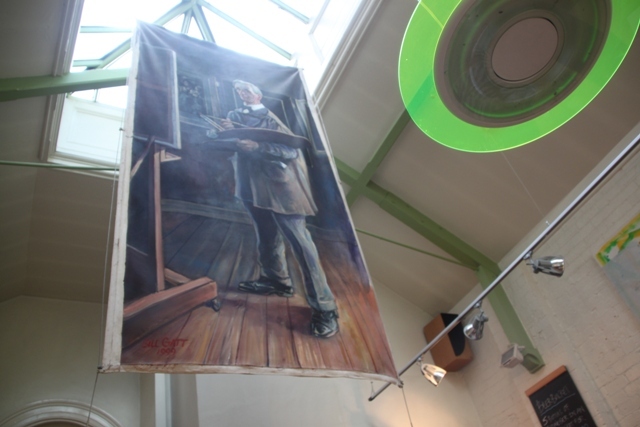 I loved it as soon as we stepped through the door – once the studio of a local artist William Conor between 1944-54 it had a lovely ambiance. Light, airy with a high ceiling and a portrait of the artist the surroundings were lovely. The food was top notch too – hearty dishes and excellent service. Just the thing for our last night in Ireland. Thank you!! A great walk with a great view – perfect. That looks to have been a lovely walk. I’m glad your last meal was a delicious one. It’s always good to end a vacation on an edible high note. Food always plays a big part in our trips Laura!! We felt we earned this meal after the walk – a great end to the holiday. Food is usually the thing my husband remembers most. If I’m trying to get him to remember a place we visited, I just have to tell him what he ate and that’s when it comes back to him. He travels on his stomach. I went to Belfast in 2002, one of the things that I remember most was just how close those mountains seemed to be to the city. I am going back later this year! I had never been up in the mountains before Andrew – this was a first for me, we loved the walk and the views over the city on a clear day are incredible! Looking forward to reading about your trip later too. Definitely have to go. The trouble is, the more travel blogs I read the longer my list grows! I have the very same problem Anabel – my list is getting longer by the day. I spend far too much time on WordPress – it’s addictive!! This is so cool! I have to know though… what was on the french fries in the picture. 🙂 It’s always about the food for me. A woman after my own heart Jenny!! It was the most garlicky delicious mayo – yum…. I was thinking the same thing!!!!! And it is always about the food for me too! Beautiful place…great pics…yummy food! Life is good! It certainly is Diana – have a great weekend and lots of delicious food!! The national trust sites are so nice, I really need to get around to joining. Looks like an awesome walk and meal! Places like this (and other ones in England) you can explore without actually being a National Trust member, we are members though and definitely get good value for money!! The meal was just the thing to finish off a great day. A lovely farewell to Ireland. It certainly was, looking forward to going back again now though…. The food here was wonderful Pam – like you said a very big part of travel and the perfect way to end our lovely stay in Ireland!! It was a walk with a wow that’s for sure! We love our food too George!! 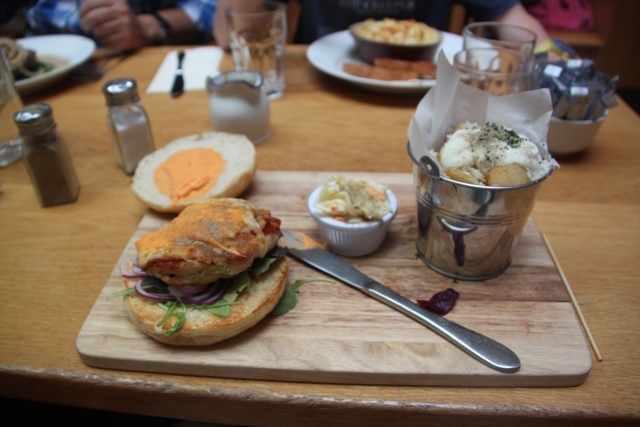 That was a chicken and chorizo burger with paprika mayo – totally delicious. My husband doesn’t remember what he ate – only that it was good and our son is still raving about his mac and cheese there. 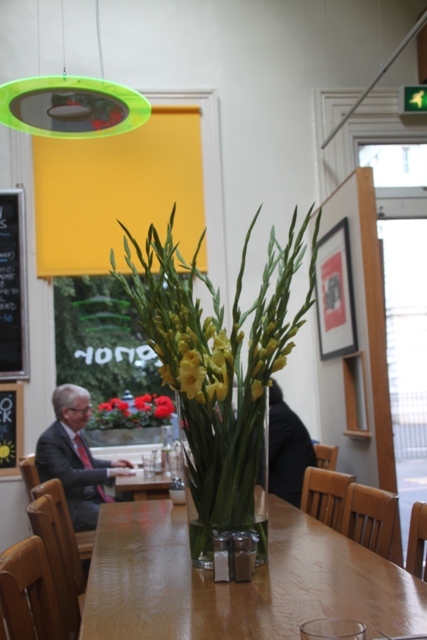 Comfort food in an old artist’s studio – all round perfect I think!! 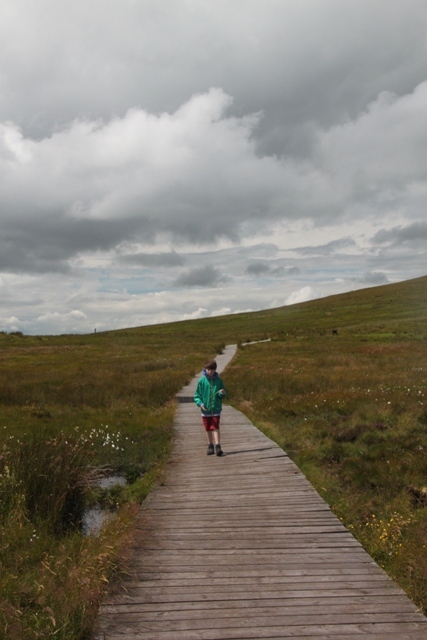 No rain at all that day Melissa – that counts as a good day in Ireland!!! Great views like you say it was the perfect end to our trip. 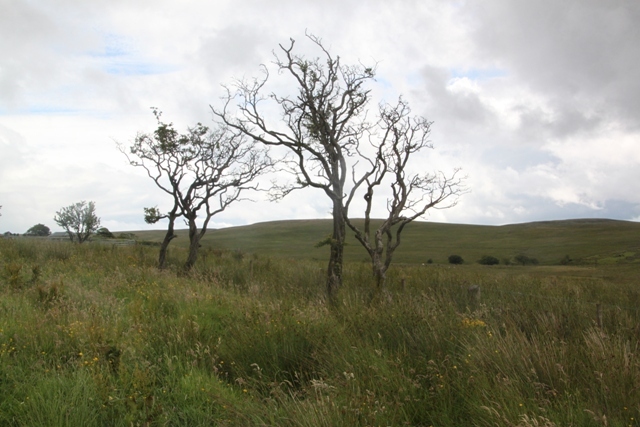 We had such a great time – loved Donegal especially – hope you make it sometime in the not too distant future!! Have just finished sorting our next trip there in July, visiting family and exploring Wicklow this time – excited already!! It’s a gorgeous place to get some stunning views of Belfast Rosemary – a completely new angle on a city we know really well plus the walk wasn’t too taxing!! A good meal is always a great way to end a trip I think!! Absolutely Joy always important to end a trip with a memorable meal ! Stunning views of Belfast as you say! It’s a great city, this was a great place to get a different perspective!